RSVP today for the RHA Annual Meeting! Annie is the Vice Mayor of the City of Oakland and the City Councilmember for District 4. As Councilmember, Annie chairs the Life Enrichment Committee and serves as a member of the Finance & Management Committee and the Community & Economic Development Committee. Before being elected to City Council, Annie was the District 4 School Board Member for the Oakland Unified School District. Annie will give us an update of what is happening in Oakland - events, initiatives & campaigns. Design School X's founder and chief catalyst, builds irresistible learning environments of belonging and becoming. David has been a designer, builder and equity/social justice-oriented educator for nearly 20 years. 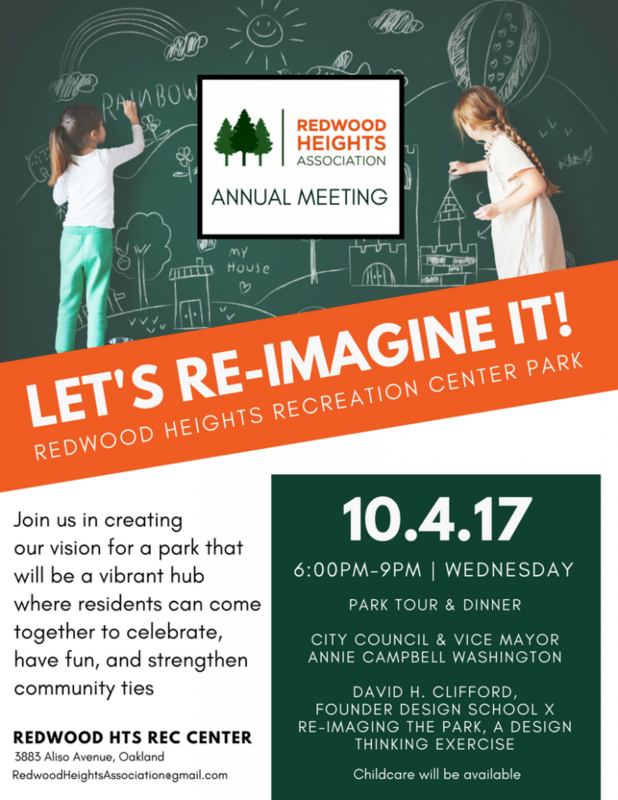 David will lead us in a design thinking exercise to help us re-imagine what Redwood Heights Rec. Center Park could be to our community. No idea is too big or too small. If you have never participated in a design thinking exercise, it is a lot of fun! Join us for some laughs and a chance to dream big with people in our community. Dinner & Childcare will be provided. Please be sure to RSVP so we can plan accordingly.